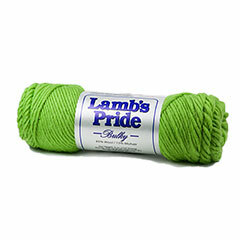 Lamb’s Pride Worsted from Brown Sheep Co is a worsted weight single ply yarn. 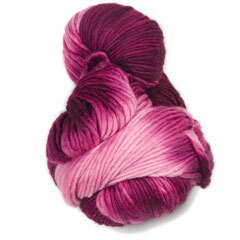 The classic touch of 15% mohair along with 23 to 25 micron wool, has made this line a staple in every crafter’s stash. 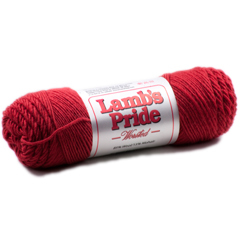 Lamb’s Pride’s extreme versatility lends itself very well to knit or crochet garment construction, wet or needle felting, home accents such as rugs and pillows, and as many more as your imagination can dream up. 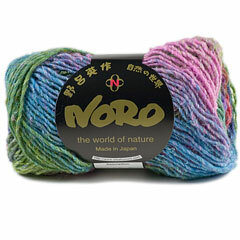 Kureyon Yarn from Noro is the most popular multicolor wool on market. This worsted weight, hand-dyed 100% wool knits up easy into colorful garments and accessories. Kureyon is perfect for felting too. Gauge: 4.5 sts per 1"
* Valid for any combination of colors for the same yarn. Simplicity Yarn by HiKoo is a soft and cozy wool blend, available in wide range of colors. 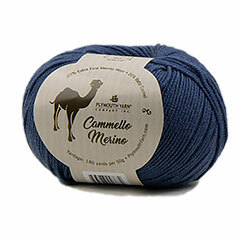 A value yarn that is an excellent choice for afghans, children's wear, and anything else that gets daily use. This machine washable wool blend feels like butter in your hands while knitting, but is a true ”work horse” of a yarn. Lambs Pride Bulky Yarn from Brown Sheep Co is a single ply wool with a touch of mohair, available in an outstanding palette of solid and heathered colors. Lambs Pride extreme versatility lends itself very well to knit or crochet garment construction, wet or needle felting, home accents such as rugs and pillows, and as many more as your imagination can dream up. Gauge: 3 sts per 1"
Cotton Fleece Yarn from Brown Sheep. For you in warmer climates or even for you in cool climates in the summer, Cotton Fleece is made especially for you. Spun from 80% pima cotton and 20% merino wool Cotton Fleece has a wonderful handle whether working with it or wearing it. The cotton makes it cooler but the 20% wool gives more resilience to the yarn, making it wonderful to work with. Make up something for the spring and that garment will soon become a favorite in your wardrobe. 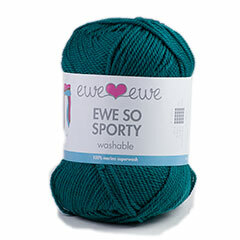 Ewe So Sporty yarn from Ewe Ewe is a soft, bouncy sport-weight merino wool yarn. It's perfect for shawls, scarves, baby clothes, whatever you're looking to knit! 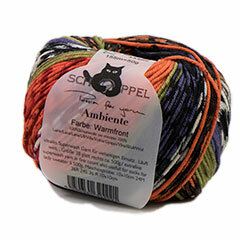 Ewe So Sporty yarn comes in a wide range of great colors and has a beautiful stitch definition. 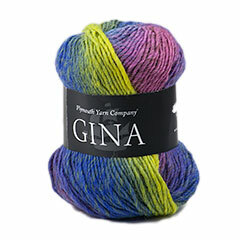 Gina Yarn from Plymouth Yarn Co is a single ply, 100% wool, that has the colorways every knitter dreams about. Let the colors do the work while you enjoy seeing your yarn create a masterpiece of art. 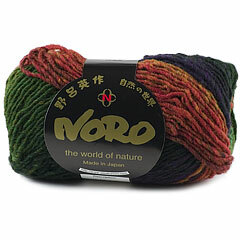 Silk Garden Yarn from Noro is a luxury, hand-dyed blend of silk, mohair and lamb wool. Famous for its outstanding color compositions, Silk Garden knits up into unique looking garments or accessories. Simpliworsted Yarn by HiKoo is a perfect all around worsted weight yarn. Soft and cozy Superwash Merino Blend in vibrant colors! Feels like butter! 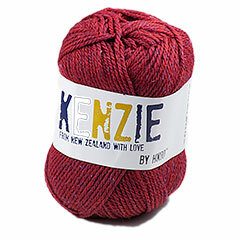 Gauge: 4 sts per 1"
Kenzie Yarn from HiKoo is just the perfect tweed. New Zealand merino, angora and alpaca lend softness and body, nylon lends strength and silk noils contribute delicate texture and color accents. The smooth, round 3-ply yarn knits into a cohesive fabric that blooms when wet blocked. The angora haze is just fuzzy enough to lend a cozy feel, but not so fuzzy that it will obscure any stitch patterning. Woolstok - The Wonder Yarn by Blue Sky Fibers. Rich in character with excellent stitch definition and easy to work with, this yarn is available in lots of colors. You’ll quickly cozy up to it, no doubt. Maxima Yarn from Manos Del Uruguay. Super-soft merino fiber and a light single-ply construction make Maxima a cuddly yarn. With its popular worsted-weight gauge, you’ll find plenty of uses for Maxima! 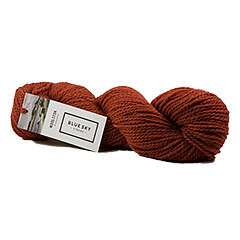 Gauge: 18 - 20 sts per 4"
Worsted Yarn by Malabrigo is a buttery-soft single ply Uruguayan Merino wool. This kettle-dyed yarn has excellent stitch definition, comes in an enormous rainbow of colors and is deliciously squishy and cozy. It’s also fantastic for felting projects! Be sure to get enough yarn to complete your project. To ensure random color distribution, work from two balls of yarn at once, alternating a few rows from each ball. 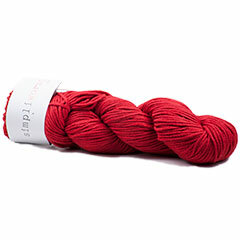 Rios Yarn by Malabrigo is a soft, strong, and washable 4-ply yarn! The plies help resist pilling and washability makes it fantastic for frequently-worn garments, housewares, and children and baby clothes. Spun from premium superwash merino, Rios comes in an array of watercolor-multi, semi-solid, and variegated colorways. Be sure to get enough yarn to complete your project. To ensure random color distribution, work from two balls of yarn at once, alternating a few rows from each ball. Gauge: 18.0 to 22.0 sts = 4"
Homestead from Plymouth EARTH Collection is eco-friendly 100% all natural Wool. 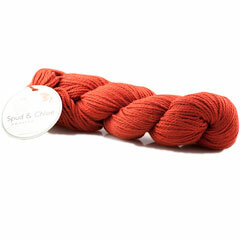 This yarn has been grown/raised organically and is free of dyes and preservatives. SWEATER. Made of super wash 55% wool/45% organic cotton, it’s a worsted-weight yarn for everybody. For best results wash gently in cool water with mild soap. Tumble dry low until damp, block to shape. Treat it with love; it's your handiwork after all. 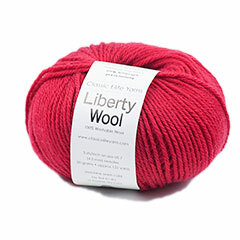 Gauge: 4 - 5 sts per 1"
Liberty Wool Yarn from Classic Elite is a worsted weight super-soft, washable wool. This yarn's balanced twist will make all stitch combinations pop. With all the great qualities of wool and the ease of machine wash ability, Liberty Wool knits at a gauge that suits many designs and is ideal for children's pieces as well as those for adults. 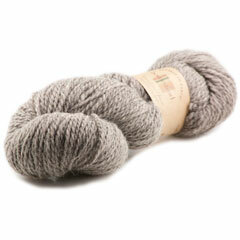 Nature Spun Worsted Yarn by Brown Sheep Co. is a 100% US grown and spun wool. 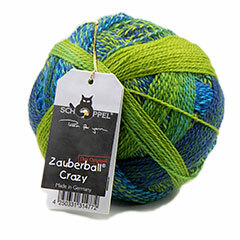 This 3-ply, soft wool is one of most versatile yarns - perfect for almost any type of project. 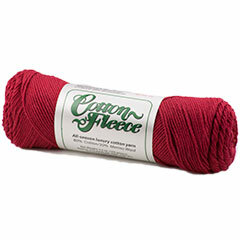 It's popular for color work , crochet and weaving because of its strength and smoothness. Available in many beautiful solid and heathered colors. 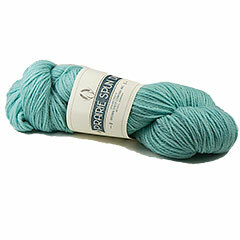 Prairie Spun DK Yarn from Brown Sheep Company is a 3-ply, 100% US wool. The color palette is inspired by the beautiful prairie in Nebraska. DK is the perfect weight to knit/crochet and wear, and you'll love the texture and durability.